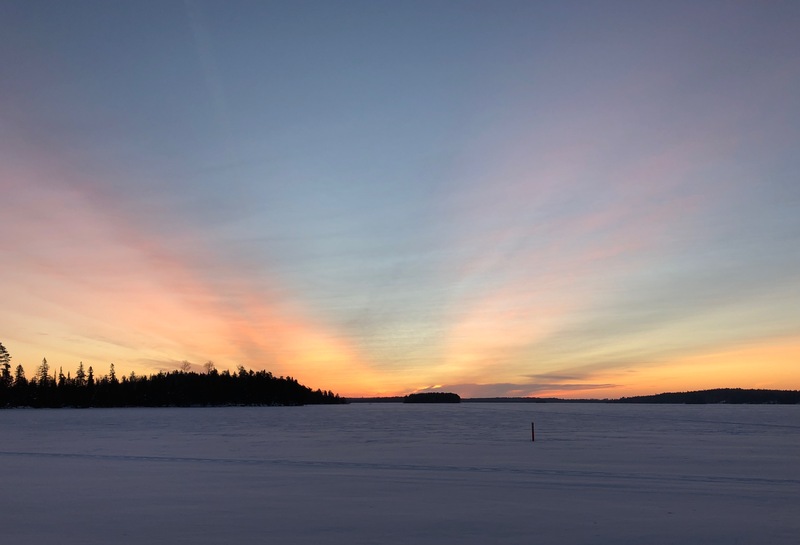 Friday January 18, 2019 | Hyatt's Manion Lake Camp Ltd. This is our view just before the sunrises and when it's minus 32C. Yes it looks pretty but it's also pretty cold outside. Today will be a good day to do inside things today. No surprise that we continue to be in an extreme cold warning course we can't complain, January has been good to us so far. Today's forecast -Mainly sunny. Wind up to 15 km/h. High minus 25. Wind chill minus 40 in the morning and minus 32 in the afternoon. Risk of frostbite. UV index 1 or low. Tonight	Clear. Wind up to 15 km/h. Low minus 35. Wind chill minus 32 in the evening and minus 41 overnight. Risk of frostbite.